Congratulations! You’re ready to take the path to better health. Whether you’re looking for nutritional health supplements to boost your immune system, help improve your health when you are diseased, slow the effects of aging, or solve a particular health concern, we can help! So you may be asking yourself, where do I start? What supplements should I take to get healthier? It’s easy. Solanova offers an array of top quality nutritional supplements, antioxidants and vitamins, and even natural skin care products to fulfill all your needs. We’re a small company with a big heart, and we’ve carefully selected and formulated our health supplements for optimum absorption and potency. We’re confident these powerful vitamins and nutrients will help contribute to your overall better health and longevity. 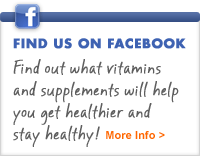 See our daily health supplements here. See our stress free health & healthy sleep here. See our bone & joint supplements here. Our brain is our command center, our body’s mission control and when something goes wrong, it can adversely affect everything. It’s clear that good health includes taking extraordinarily good care of our brain. See our brain health supplements here. Coenzyme Q10 (CoQ10) is present in almost every cell in the body. It is vital for energy production and provides powerful antioxidant protection. CoQ10 may strengthen the heart, increase energy, keep blood pressure in the normal range and support the immune system. See all our CoQ10 Supplements. See our digestion products here. Our skin is our body’s largest organ. We want our skin to look young, glowing & healthy, therefore we try to take good care of it. We wash it regularly and try to protect it from the sun and other harsh elements. But how often do we stop and think about what kinds of products we are putting on our skin and what benefits we may derive from them? Are we taking the right nutritional supplements for better looking skin? See our skin care products.